Property Location With a stay at Hotel Alexis in Rome (Rome Historic Centre), you'll be minutes from Baths of Diocletian and Octagonal Hall. This hotel is close to Roman Forum and St. Peter's Basilica.Rooms Make yourself at home in one of the 15 air-conditioned rooms featuring LCD televisions. Complimentary wireless Internet access is available to keep you connected. Partially open bathrooms with showers feature complimentary toiletries and bidets. Conveniences include safes and desks, and housekeeping is provided daily.Rec, Spa, Premium Amenities Take in the views from a rooftop terrace and a garden and make use of amenities such as complimentary wireless Internet access. Additional amenities include concierge services and tour/ticket assistance.Dining Take advantage of the hotel's 24-hour room service. Mingle with other guests at a complimentary reception, held daily.Business, Other Amenities Featured amenities include express check-in, express check-out, and a 24-hour front desk. A roundtrip airport shuttle is provided for a surcharge (available 24 hours). 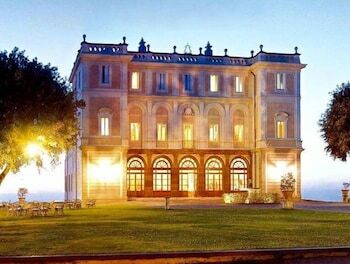 Property Location Located in Rome (Cassia), Seven Hills Village is close to Farnese Castle and Etruscan Archaeological Site. 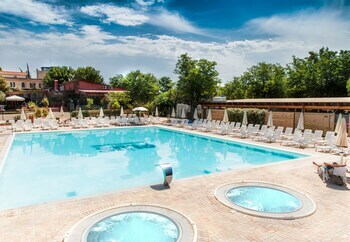 This family-friendly apartment is within close proximity of Nature Reserve dell'Insugherata and Sant’Andrea Hospital.Rooms Make yourself at home in one of the 200 guestrooms.Rec, Spa, Premium Amenities Don't miss out on the many recreational opportunities, including a nightclub, a 24-hour fitness center, and a fitness center. This apartment also features complimentary wireless Internet access, concierge services, and gift shops/newsstands. Guests can catch a ride on the shuttle (surcharge), which operates within 2 km.Dining Grab a bite to eat at one of the apartment's dining establishments, which include 3 restaurants and a coffee shop/café. Relax with your favorite drink at a bar/lounge or a poolside bar.Business, Other Amenities Featured amenities include a computer station, multilingual staff, and laundry facilities. A roundtrip airport shuttle is provided for a surcharge (available on request), and free self parking is available onsite. 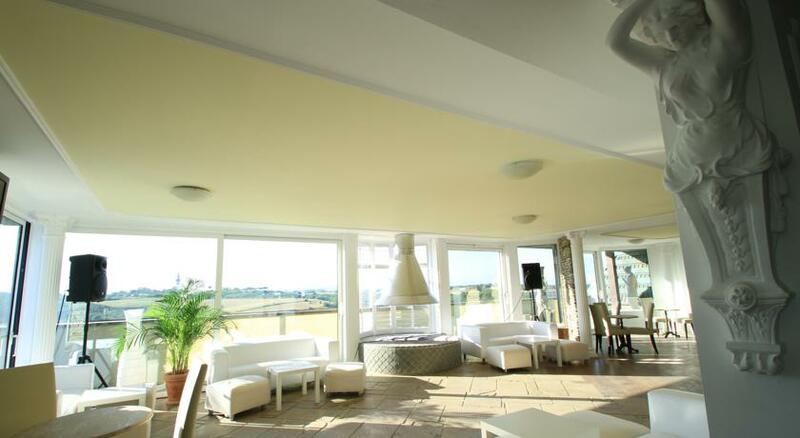 This 4 star hotel is located in the suburbs of Rome and was established in 2005. 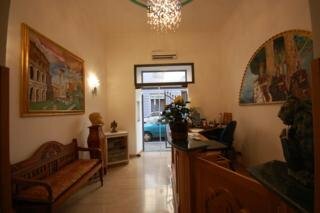 It is a short drive away from the San Pietro and the nearest station is Cornelia. The Hotel has a restaurant, a bar, an outdoor swimming pool and a fitness centre/gym. All 68 rooms are equipped with minibar, hairdryer, safe and air conditioning.From the date of: 16/04/2017 CITY TAX 6 EUROS PER PERSON PER NIGHT TO BE PAID AT THE HOTEL FOR AT MAXIMUM 10 DAYS. Property Location With a stay at ibis Roma Fiera in Rome (EUR), you'll be convenient to Parco de' Medici Golf Club. This hotel is within the vicinity of Hydromania and Fiera di Roma.Rooms Make yourself at home in one of the 140 air-conditioned rooms featuring flat-screen televisions. Complimentary wireless Internet access keeps you connected, and digital programming is available for your entertainment. Private bathrooms with shower/tub combinations feature complimentary toiletries and hair dryers. Conveniences include desks and complimentary newspapers, and housekeeping is provided daily.Rec, Spa, Premium Amenities Take in the views from a terrace and a garden and make use of amenities such as complimentary wireless Internet access.Dining You can enjoy a meal at a restaurant serving the guests of ibis Roma Fiera, or find a snack in a coffee shop/café. Quench your thirst with your favorite drink at a bar/lounge.Business, Other Amenities Featured amenities include a business center, complimentary newspapers in the lobby, and dry cleaning/laundry services. Self parking (subject to charges) is available onsite. 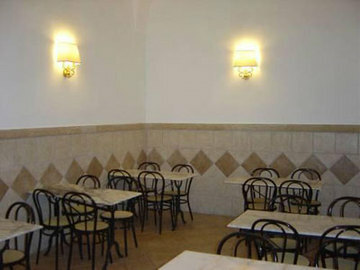 The hotel is located in the historical centre of Rome, a few steps away from the central railway station Roma Termini, the main public transportation terminal of the city and all the most important archaeological sites such as the Spanish Steps, the Trevi Fountain, the Roman Forums and the Coliseum. 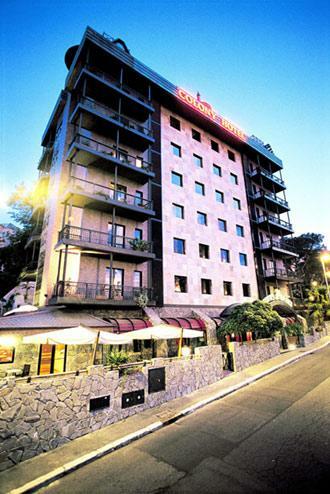 This hotel is especially recommended for small and big groups of students and people who like to move around the eternal city in the easiest way. The hotel occupies a traditional mid-rise building featuring decorative stonework and shuttered windows. Free Wi-Fi is available throughout the premises. Standard rooms are 17 and decorated in a bright, modern style. Amenities include an en-suite bathroom. 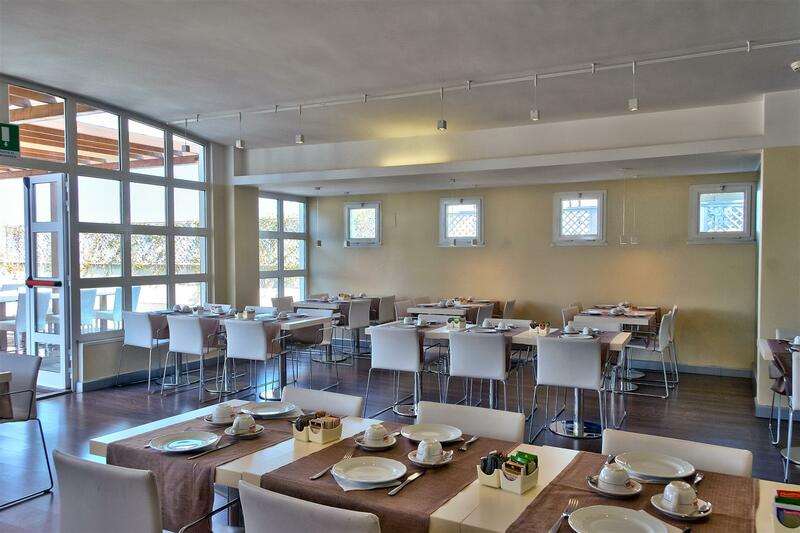 A breakfast is provided every morning and there are plenty of dining opportunities in the vicinity. The hotel has a 24-hour reception.From the date of: 16/04/2017 CITY TAX 3 EUROS PER PERSON PER NIGHT TO BE PAID DIRECTLY IN THE HOTEL FOR A MAXIMUM OF 10 DAYS. 3 stars hotel close to the freeway exit ponte sisto and close to shopping area of Corso Francia.From the date of: 16/04/2017 CITY TAX 4 EUROS PER PERSON PER NIGHT TO BE PAID DIRECTLY IN THE HOTEL FOR AT MAXIMUM 10 DAYS. Property Location With a stay at Hotel Philia Rome in Rome (Rome Historic Centre), you'll be minutes from National Central Library of Rome and Umberto I Policlinic of Rome. This hotel is close to Roman Forum and St. Peter's Basilica.Rooms Make yourself at home in one of the 48 air-conditioned rooms featuring refrigerators. Wireless Internet access (surcharge) keeps you connected, and digital programming is available for your entertainment. Private bathrooms with showers feature complimentary toiletries and bidets. Conveniences include phones, as well as safes and desks.Rec, Spa, Premium Amenities Make use of convenient amenities, which include concierge services and tour/ticket assistance. Guests can catch a ride to nearby destinations on the area shuttle (surcharge).Dining Continental breakfasts are available daily for a fee.Business, Other Amenities Featured amenities include express check-in, a 24-hour front desk, and multilingual staff. A roundtrip airport shuttle is provided for a surcharge during limited hours. Property Location Located in Rome, Best Western Hotel Roma Tor Vergata is in the suburbs and convenient to Tor Vergata Shopping Center and Domus Shopping Center. This 4-star hotel is within close proximity of La Romanina Shopping Center and University of Rome Tor Vergata.Rooms Make yourself at home in one of the 211 air-conditioned rooms featuring LCD televisions. Satellite television is provided for your entertainment. Bathrooms feature bathtubs or showers, bidets, and hair dryers. Conveniences include phones, as well as safes and desks.Rec, Spa, Premium Amenities Enjoy recreational amenities such as a fitness center and a seasonal outdoor pool. This hotel also features complimentary wireless Internet access, a television in the lobby, and tour/ticket assistance.Dining Satisfy your appetite at the hotel's restaurant, which serves lunch and dinner, or stay in and take advantage of room service (during limited hours). Quench your thirst with your favorite drink at a bar/lounge.Business, Other Amenities Featured amenities include complimentary newspapers in the lobby, dry cleaning/laundry services, and a 24-hour front desk. Free self parking is available onsite. 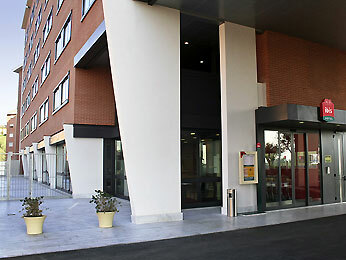 The hotel is located close to the university and the new hospital of Roma Tor Vergata. Close to the "Grande Raccordo Anulare", the Highway Rome - Naples and just 15 minutes drive from Anagnina metro station, the hotel is a perfect start for your trip in Rome. Tailor-made for business or leisure customers, the BW Hotel Roma Tor Vergata has been completely and carefully restored in December 2009 offering every kind of comfort and adopting the highest international quality standards now required by the most discerning customers.Tourists will be fascinated by the warm and relaxing interiors, featuring furniture, fabrics and colors, created to provide wellness and relax. The wide Hall and Bar, with their comfortable and refined lounge-rooms, are provided with free Wi-Fi connection useful for business clients. Our 24hour staff will take care of guests, giving information and advice on Rome and its surroundings.The 211 sound-proof rooms (22 single and 189 double/twin - extra bed on request) are equipped with air conditioning, direct dial telephone, safe, hairdryer, mini-bar, LCD television and Pay television.The roomy restaurant is a suitable space to arrange breakfast for groups but it also offers special Italian dishes at lunch or dinner.The five conference rooms (from 10 to 150 people) with business services (fax, photocopies) to host congress, meetings and events.Complimentary to our guests:Wi-Fi connection in the whole buildingFitness roomOutdoor swimming-poolParkingShuttle bus to/from Anagnina metro stationEnjoy your stay.From the date of: 16/04/2017 CITY TAX 6 EUROS PER PERSON PER NIGHT TO BE PAID AT THE HOTEL FOR AT MAXIMUM 10 DAYS.